The Corsa is a decent package that is smart looking, efficient and well priced, so it deserves the high sales it continues to get. The cabin is nicely finished, and has plenty of space, and standard equipment isn’t bad either. 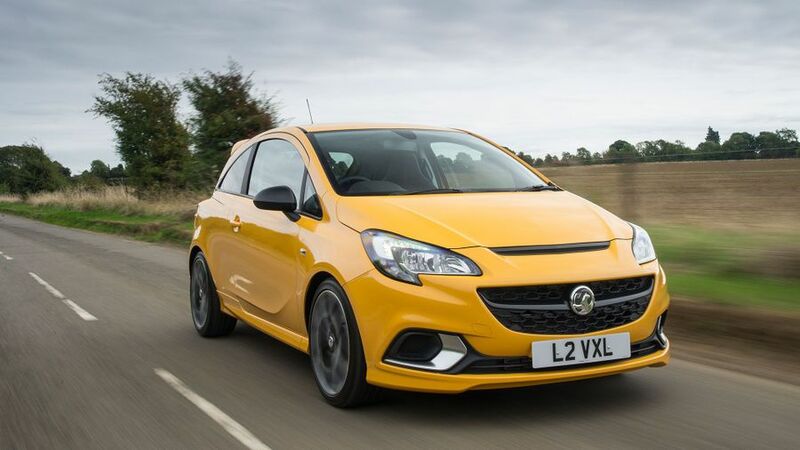 Trouble is, the Corsa competes with some very good - not to mention newer – rivals, and it’s starting to feel a little bit left behind in a number of areas. 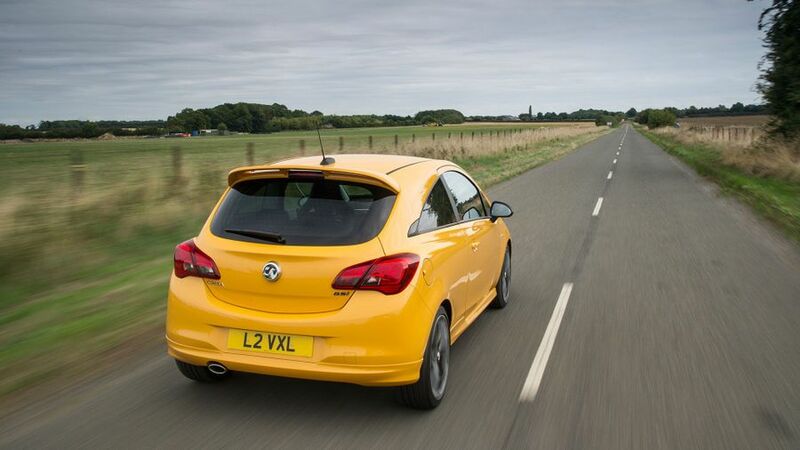 The Corsa’s smart looks make a good first impression. The three- and five-door versions are very distinct from each other, the former having sportier, coupe-like looks, while the latter has a more premium feel. On both, the ‘eagle eye’ headlights, which incorporate LED daytime running lights on most versions, give the car a fresh face, while the sides feature a smart ‘blade’ design. The trim you choose also makes a big difference to how the car looks, with more and more skirts and spoilers provided as you progress up the range for sportier looks. The sportiest of the bunch is the GSi version (which features in our pictures), which also comes with a mean-looking air intake in the bonnet. The interior looks and feels relatively high-class, with dense-looking soft-touch materials on the top of the dashboard, and buyers have the chance to brighten the cabin up with dashes of colour. However, it’s not all good news, because there’s still plenty of hard, scratchy plastic lower down in the cabin and on the door trims. This rather lessens the appeal of the interior, meaning that it’s still behind the Volkswagen Polo for sheer desirability, but in fairness, it’s on a par with most other rivals. 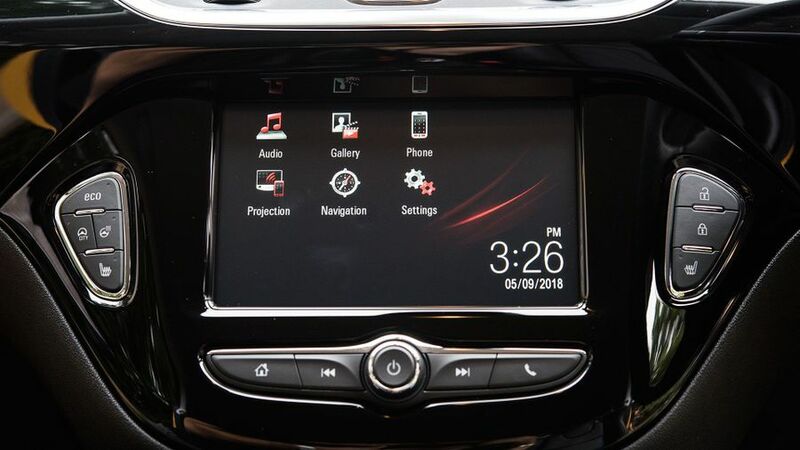 The dashboard layout is very simple and minimalist, while most versions come with Vauxhall’s Intellilink touch-screen system as standard. The interface isn’t the most intuitive or modern you’ll experience, but it’s not too hard to get to grips with. In this area, the Corsa does a very decent job. Not only is there decent storage around the cabin, there’s more than enough room in the front for a couple of six-footers. 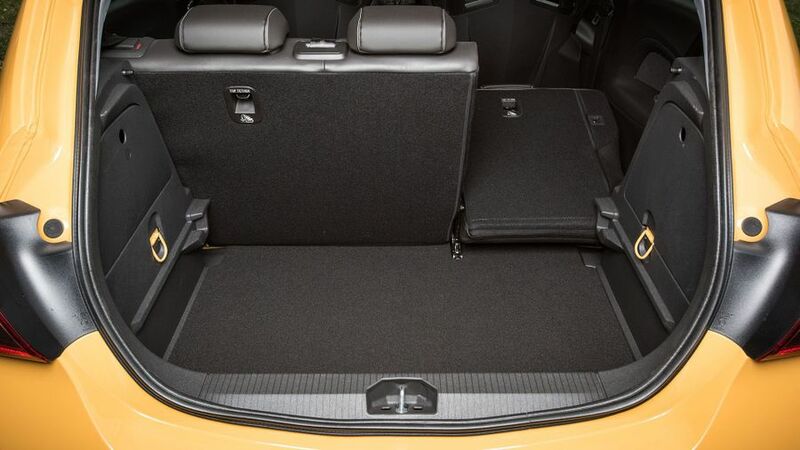 It’ll come as no surprise that, if you regularly need to carry rear-seat passengers, you need to go for a five-door model. If you do, you’ll find that there’s enough room for a couple of adults in the back, and decent access through the rear doors. In the three-door, things are far more awkward, with a fair bit of anatomical origami required just to get into the rear seats, and considerably less room when you get there. Folding rear seats are standard across the range but one that split 60/40 (which gives you more versatility) are only standard on the higher trim levels. Whether you go three- or five-door, you get around 285 litres of boot capacity; smaller than the Renault Clio's, but not bad. At least it’s a nice square shape, but it’s spoiled by the high lip that you need to lift luggage over, and the fact that the seats don’t sit flat when you fold them down. 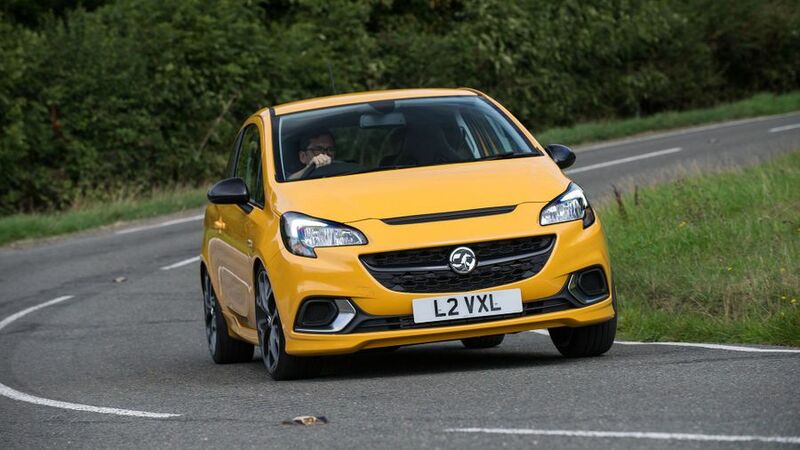 Vauxhall says it concentrated on making the Corsa easy to drive in day-to-day life, rather than focusing on super-sharp handling. On that score, the company's succeeded: it’s no harder to live with any of its rivals. In fact, it’s perfectly pleasant to drive, with decent visibility, well-weighted controls and light steering that all make for easy manoeuvrability around town. It has safe and solid handling through the bends, too, and no nasty surprises waiting to catch you out. However, there are still some shortcomings. It doesn’t feel all that light on its feet, so it lacks that nimble feel you get in some of its rivals, such as the Ford Fiesta. Meanwhile, the ride is also less than ideal. It feels slightly jittery and unsettled for too much of the time – especially at low speeds and even more so in the sportier models with their bigger wheels. 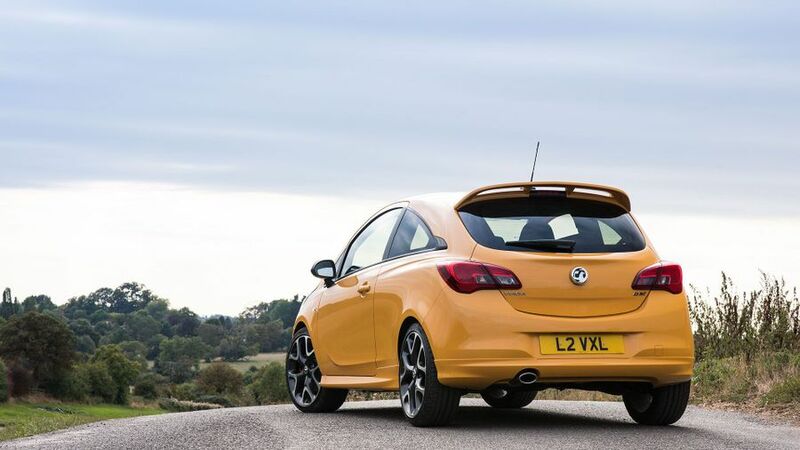 The sportiest model – now that the fire-breathing VXR has been discontinued – is the GSI, and this comes with the same sports suspension that previously underpinned the VXR. The ride is what we’d describe as ’acceptably firm’. It’s comfortable enough that it won’t make you wince over every pothole, but things are taut enough to keep the body under tight control in bends and give you plenty of information about the road surface beneath. 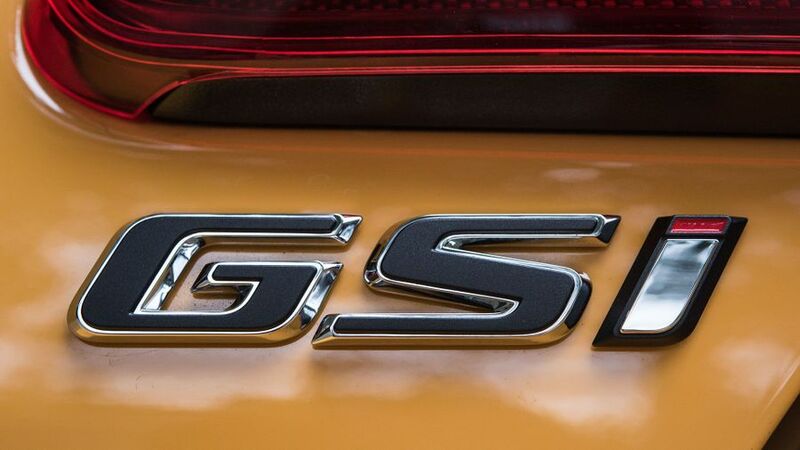 Again, the GSI doesn’t provide a driving experience that’s as polished or as thrilling as that delivered by the Ford Fiesta ST, but there is plenty of fun to be had. During its relatively long life, the current Corsa has been offered with a wide variety of petrol and diesel engines, varying in both capacity and output. At the moment, though, your only choice is a 1.4 petrol engine, albeit with a variety of outputs, those being 75-, 90-, 100- or 150 horsepower. We’ve tried the latter two, which are both turbocharged, and the 100 horsepower one delivers decent urge from low down in the rev to make it feel nice and responsive, if not ultimately all that quick. The 150 horsepower unit – only available in the range-topping GSi – also delivers decent urge from low revs, but it’s tuned to do its best work higher up the range, giving it a thrashy, frenetic character that’s pretty endearing. Ultimately, though, it’s way down on power and pace compared with its best hot hatch rivals, some of which don’t cost all that much more. 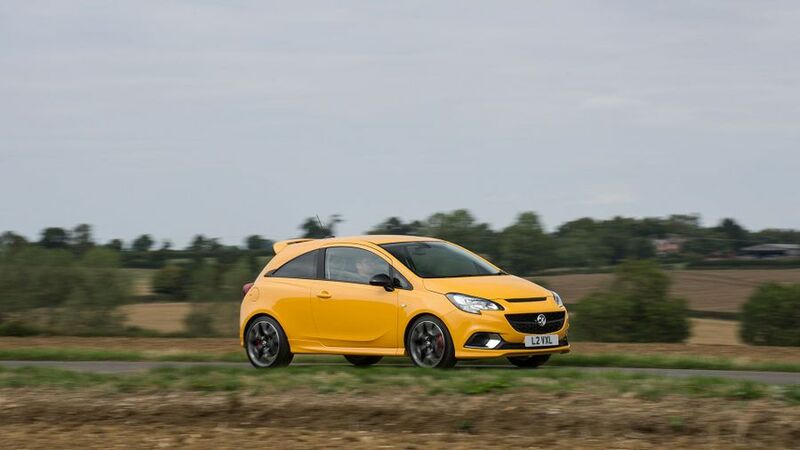 Probably the most appealing aspect of the Corsa is what good value it represents. Its prices are extremely competitive compared with those of its most direct competition. Every model (except those with an automatic gearbox) averages around 50mpg according to official figures, which isn’t too bad, but the equivalent figures of many rivals are rather more impressive. The same goes for CO2 figures, which are intrinsically linked. If you’re tempted by the sporty GSi model, it’s worth noting that it’ll cost you a good bit less to insure than a Fiesta ST, which could be very important for young drivers. However, the Corsa won’t cost you much less to buy, which considering it’s 50 horsepower down on the Ford, is a little disappointing. Warranty Direct’s Reliability Index paints a fair-to-middling picture in this area. 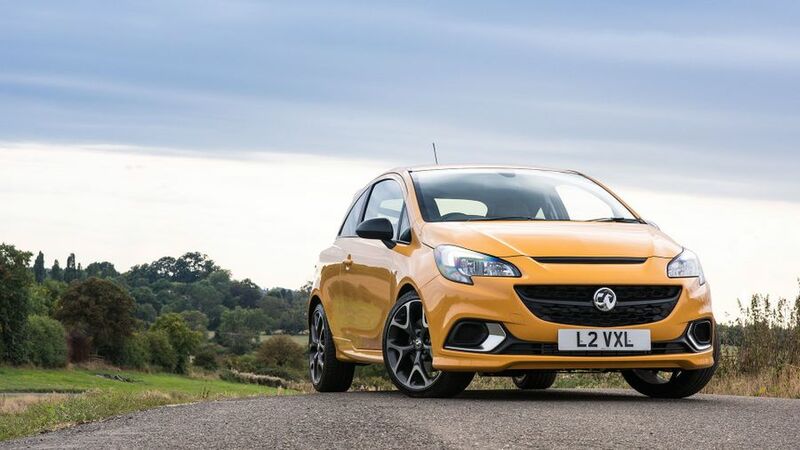 The Corsa has a very middle-of-the-road score when considered as an individual model, and Vauxhall sits slap-bang in the middle of the manufacturer rankings, too. Our owner reviews, however, paint a rather brighter picture, with very few contributors reporting mechanical problems. Every model comes with Hill Start Assist, a tyre pressure warning system, six airbags and an electronic stability programme. The options list includes a few other bits and bobs, such as brighter bi-xenon headlamps and various sensors and cameras to help with parking. However, the latest safety aids – things like lane departure warning and automatic emergency braking – are notable by their absence from either the standard safety roster or the options list. 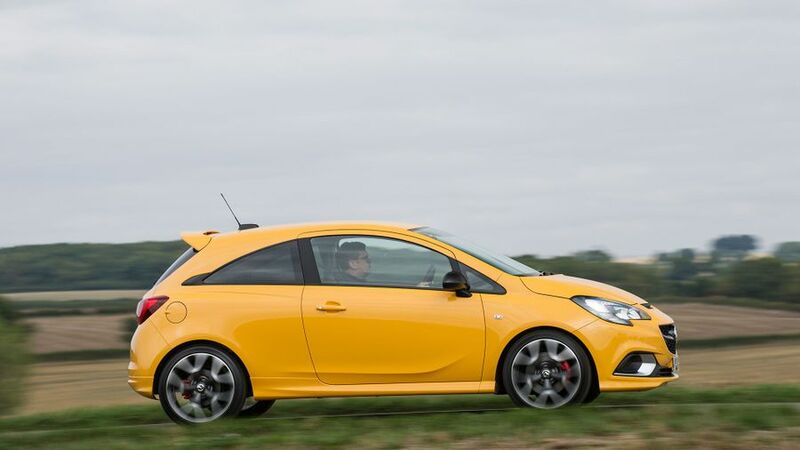 The Corsa was crash tested by Euro NCAP back in 2014, and only scored four out of five stars. That’s not a great showing, especially when you consider that the tests have become far tougher since then. The entry-level Active trim gets a decent slice of kit, including remote locking, Bluetooth, a six-speaker stereo, cruise control, a leather-bound steering wheel, a heated windscreen and alloy wheels. However, it misses out on air-conditioning, which we view as a must-have. Design trim checks that important box, and also adds the Intellilink touch-screen infotainment system that incorporates a DAB radio, and Apple CarPlay/Android Auto, while Energy trim chucks in heating for the front seats and steering wheel, electric door mirrors and automatic lights and wipers. That makes it our trim of choice. Sport trim replaces a couple of the Energy’s more luxury-focussed items with some sporty styling touches instead, while SRi Nav trim gives you all of the above along with – guess what? – nav. SE Nav trim gives you a trip computer, parking sensors and a 60/40 split folding rear seat, while VX-Line Nav Black trim gives you a sports suspension and a lairy body kit. The GSi range-topper looks even sportier and has more power, but curiously, removes a few of the VX-Line’s more luxurious items, such as sat-nav. 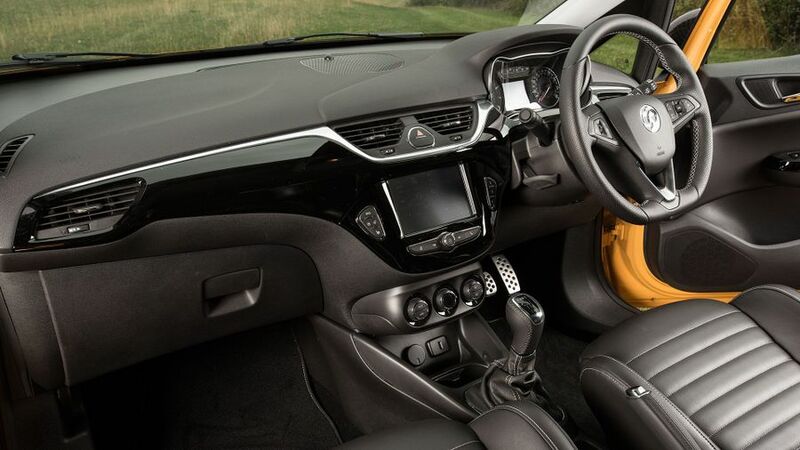 Despite its advanced years, the Corsa is a very decent package, offering plenty of space and equipment at competitive prices. It’s neither as fun nor as comfortable on the road as its best competitors, but it’s easy and fuss-free to drive and will be entirely adequate for most people. If you’re after a small car, it’s probably already on your shortlist, and there’s no reason it shouldn’t be.